(c) 2007 Chris Baylor licensed to About.com, Inc.
Each of the images in this gallery shows a free woodworking plan available with step-by-step instructions. Some of these projects are suitable for beginners so that you can get building regardless of your skill set. 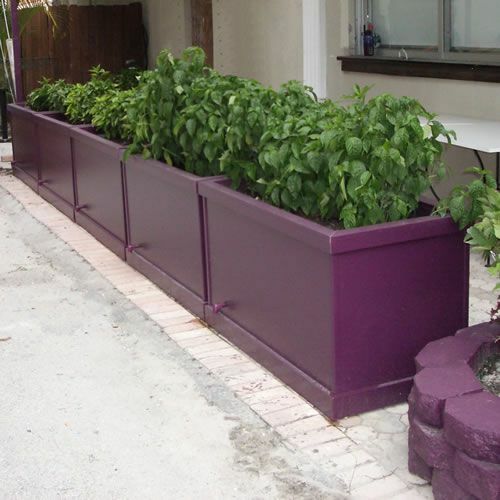 Step-by-Step Free Woodworking Plans to Make Your Own Garden Planter Box. In this set of free woodworking plans, learn how to build a circle cutting jig for your band saw with you step-by-step instructions. These free woodworking plans come complete with measured drawings and a bill of materials so you can build this woodworking project in your wood shop. Step-by-Step Free Woodworking Plans to Make Your Own Band Saw Circle Cutting Jig. In this set of free cabinet plans, learn how to create a set of bamboo wind chimes. These free woodworking plans come complete with measured drawings and a bill of materials so you can build this woodworking project in your wood shop. Step-by-Step Free Woodworking Plans to Make Your Own Bamboo Wind Chimes. In this set of free cabinet plans, learn step-by-step how to build a set of washers boxes, so you can play washers in your own backyard. These free woodworking plans come complete with measured drawings and a bill of materials so you can build this woodworking project in your wood shop. Step-by-Step Free Woodworking Plans to Make Your Own Backyard Washers Game. In this set of free cabinet plans, go step-by-step through building a portable miter saw stand, including stock supports. These free woodworking plans come complete with measured drawings and a bill of materials so you can build this woodworking project in your wood shop. Step-by-Step Free Woodworking Plans to Build a Portable Miter Saw Stand. Have a set of custom cabinets in mind for your new bathroom? In this set of free cabinet plans, learn step-by-step how to build a bathroom sink cabinet, complete with a deep drawer and storage compartment under the sink. These free woodworking plans come complete with measured drawings and a bill of material so you can build this woodworking project in your wood shop. Step-by-Step Free Woodworking Plans to Make Your Own Bathroom Sink Cabinet. One of the most fundamental skills of furniture making is building dovetailed drawers. In these free woodworking plans, you'll find the basics of building through dovetailed drawers. Follow along step-by-step through these free drawer plans. Step-by-Step Free Woodworking Plans to Make Your Own Dovetailed Drawers. In this set of free woodworking plans, build a terrific wine rack that holds thirteen bottles of wine, but also has a built-in wine glass rack that will hold twelve of your favorite wine glasses right next to the wine. This is a fun woodworking project to build and includes a complete set of free woodworking plans, so you can build your own version of the wine rack with built-in wine glass rack. Step-by-Step Free Woodworking Plans to Make Your Own Wine Rack with Built-in Wine Glass Rack. Learn how to build a beautiful knick-knack shelf for displaying all of your trophies, statuettes, china plates and other knickknacks. These free knick knack shelf plans include three shelves and some shaker pegs for hanging items such as ribbons beneath the shelves. This woodworking project uses classic joinery and a few mechanical fasteners. You'll be able to show off not only your fine collectibles but your woodworking skills as well! Step-by-Step Instructions to Build Your Own Knick Knack Shelf. (c) 2006 Chris Baylor licensed to About.com, Inc. In the interest of ergonomics, sometimes computer monitors need to be raised a few inches so that the user is looking straight ahead rather than downward. Instead of using a box or stack of phone books, build this neat hardwood computer monitor riser, equipped with two dovetailed storage drawers. The drawers are big enough to hold magazines or stacks of paper, and the entire unit will raise your monitors up over five additional inches in height! Step-by-Step Free Woodworking Plans to Make a Computer Monitor Riser. Hardwood Cutting Board. (c) 2006 Chris Baylor licensed to About.com, Inc. In these free woodworking plans, learn how to build a beautiful and useful maple cutting board. This woodworking project is ​easy to build, yet the results are quite impressive. You'll show off your woodworking skills every time you use it in your kitchen! Step-by-Step Instructions to Build Your Own Hardwood Cutting Board. With these woodworking plans, learn how to build a very attractive modular wine rack. The best part of this woodworking project is the fact that the units are expandable. The more wine you have, the more racks you can add. Cheers! Step-by-Step Instructions to Build Your Own Modular Wine Rack. To build a bookcase, woodworkers use the same basic principles they would use when building cabinets. In these free bookcase plans, you'll learn how to make beautiful oak or pine bookcases while employing standard cabinet building techniques. Step-by-Step Instructions to Build an Under-Window Bookcase. Cabinet design, whether for kitchen cabinets or utility cabinets for your garage, is based on some common principles. This article shows how to build some utility cabinets, but the design can be easily adapted to kitchen cabinetry. Build your own cabinets from these free woodworking plans. Step-by-Step Instructions to Build Your Own Cabinets. As every carpenter or building contractor knows, a good set of saw horses is practically worth their weight in gold. They can be just as useful in the wood shop. It's hard to find a stronger set of saw horses than the ones you can make from these free woodworking plans. They're stackable, sturdy and two adults can stand on one of them comfortably. Step-by-Step Instructions to Build the Ultimate Wood Sawhorses. Step-by-Step Instructions to Build a Portable Shop Table. A feather board makes working with smaller stock on your table saw or router table much safer and simpler. These free woodworking plans will show you how to create your own feather boards. Step-by-Step Instructions to Make Your Own Featherboards. What Are the Shop Accessories Every Woodworker Should Have? Would This Personal Fabrication System Save You Time on Your Projects?